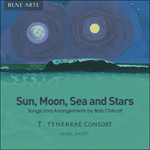 Composed by former King’s Singer Bob Chilcott (b1955) Even such is time is one part of a set of the same name that highlights the passing of time. As poet, Sir Walter Raleigh is resigned to his impending morning execution, but optimistic to the last. The set was written for the Girl Choristers of Salisbury Cathedral and the King’s Singers, and first performed in 1993. 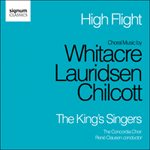 It was subsequently performed at the last concert of the King’s Singers 25th anniversary season. 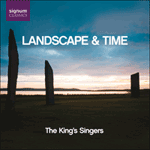 Even such is time is dedicated to Simon Carrington and Alastair Hume, two founders of the group who retired following that concert.